Hixson offers a wide variety of aerospace and defense painting applications, and has multiple paint booths and curing ovens for high-volume efficiency. 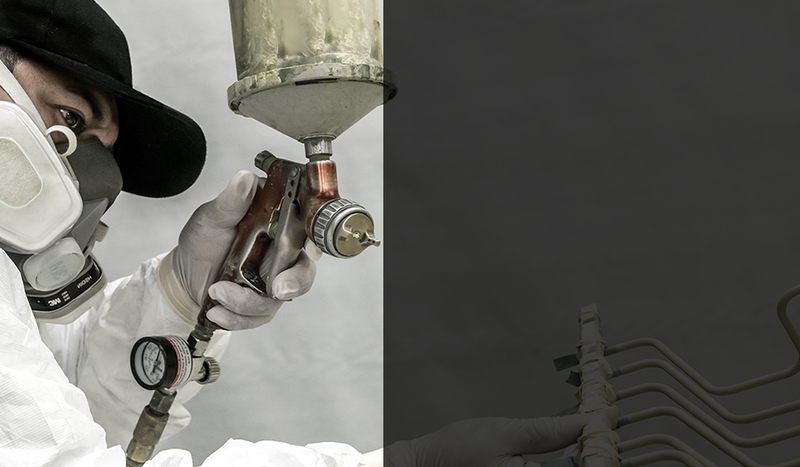 We employ advanced painting methods to provide a comprehensive and precise application of Primers, Topcoats, Dry Film Lubricants, Bond Primers, and Sol Gel. We keep a diverse inventory of military and specialized coatings at all times and work closely with our paint suppliers to ensure quick lead time and low prices on non-stock products.